(3) Colin Delaney & Jimmy Olsen beat The American Wolves (Eddie Edwards & Davey Richards) for the 2CW Tag Team Titles. 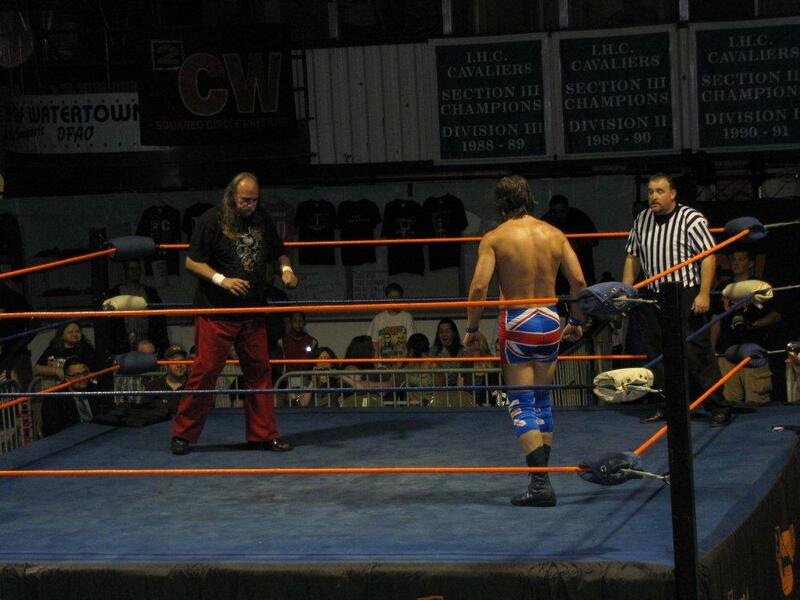 This was the Match of the Night, in my opinion. Lots of action and the crowd was really into it. (4) Kevin Graham beat Big Pun and Steve McKenzie in a triple threat match after Zaquary Springate threw in the towel for Big Pun. 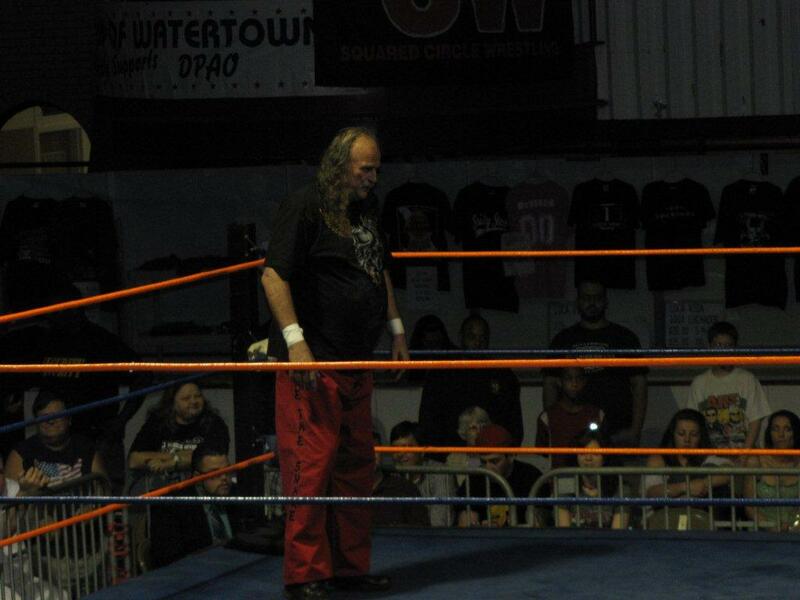 Graham then challenged Springate to a match in Binghamton, N.Y. and Springate agreed as long as he could pick the opponent for Big Pun. They all agreed and Springate picked Raven to face Big Pun in Binghamton on Sept. 24. (6) Brodie Lee beat Jason Axe in a First Blood match that was changed to a Falls Count Anywhere No DQ match. Axe put fake blood on Brodie to initially win before they restarted the match and made it Falls Count Anywhere. Brodie Lee became the new 2CW Champion. 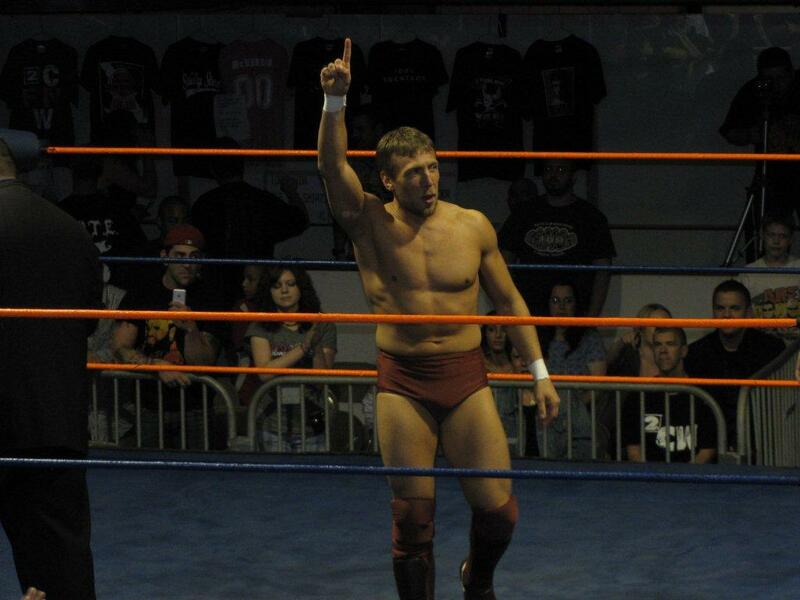 (8) WWE wrestler Bryan Danielson beat J Freddie. 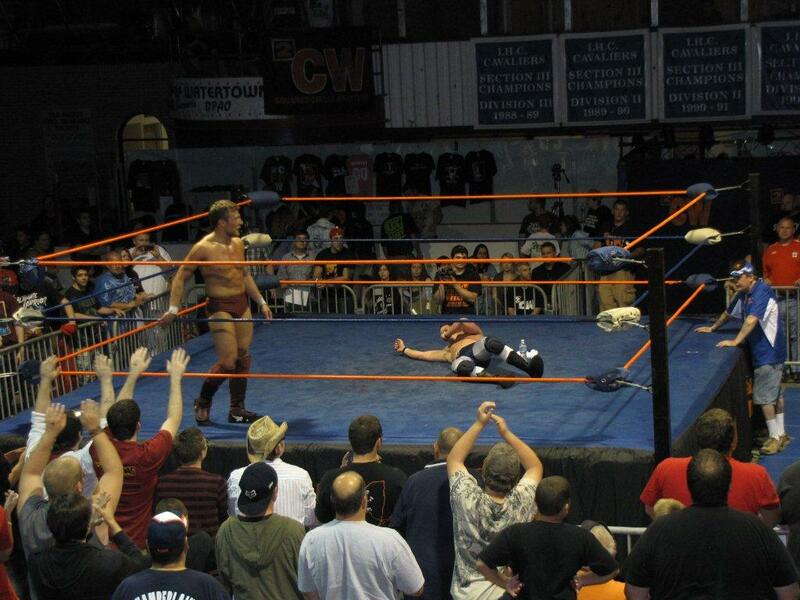 Photo Gallery of Bryan Danielson and Jake Roberts.